Last night I got home after an 11 hour drive back from Myrtle Beach, SC. 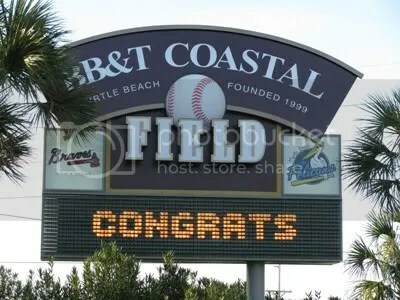 While I was there, I took a drive over to see BB&T Coastal Field where the Myrtle Beach Pelicans play. 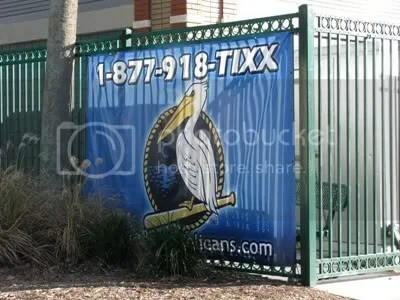 They are the advanced single A team of the Atlanta Braves. 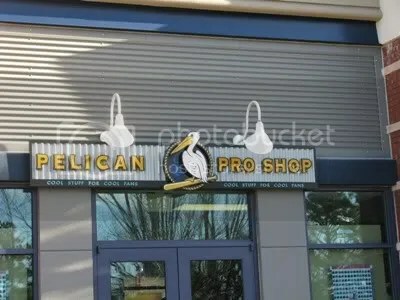 The only open area at the stadium was the gift shop, you couldn’t go inside to see the actual field. Even though the gift shop was open, we had to go find someone to unlock it, since they don’t get many visitors during the winter. I was able to pick up three pins, and a 2008 team set for my collection. 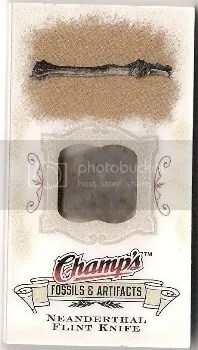 Later today I will break open the team set, and a blaster box of 2008 Upper Deck Timeline for you. 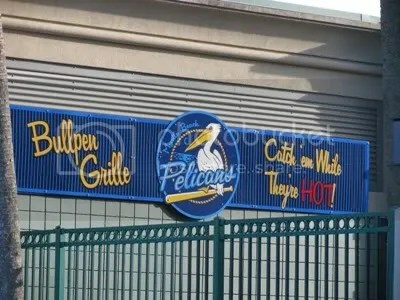 Here are a few photos I was able to take outside the stadium. 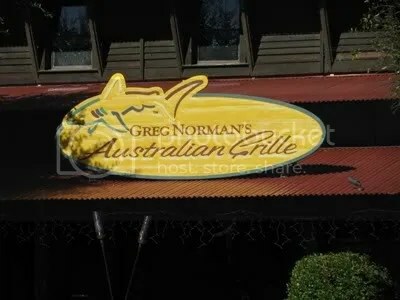 Greg Norman’s Australian Grille isn’t near the stadium, that was taken a few miles away.